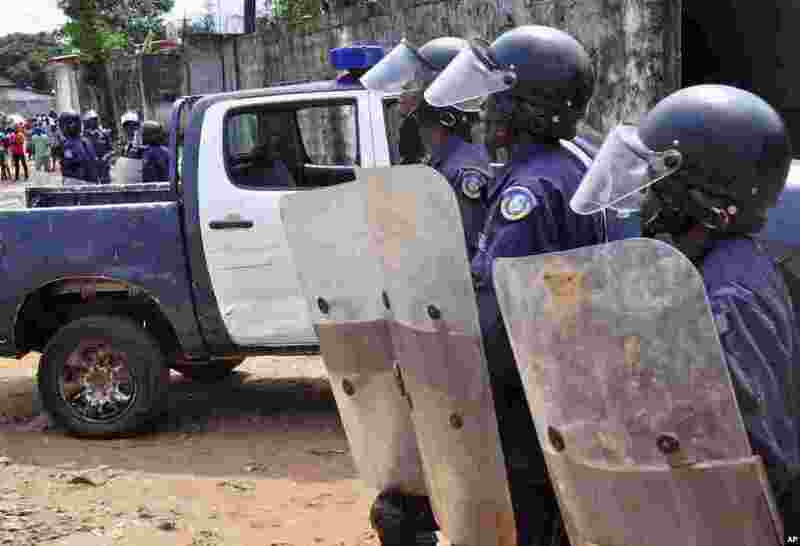 1 Liberian policemen dressed in riot gear disperse a crowd of people that blocked a main road after the body of someone suspected of dying from the Ebola virus was left in the street by health workers, Monrovia, Liberia, Aug. 14, 2014. 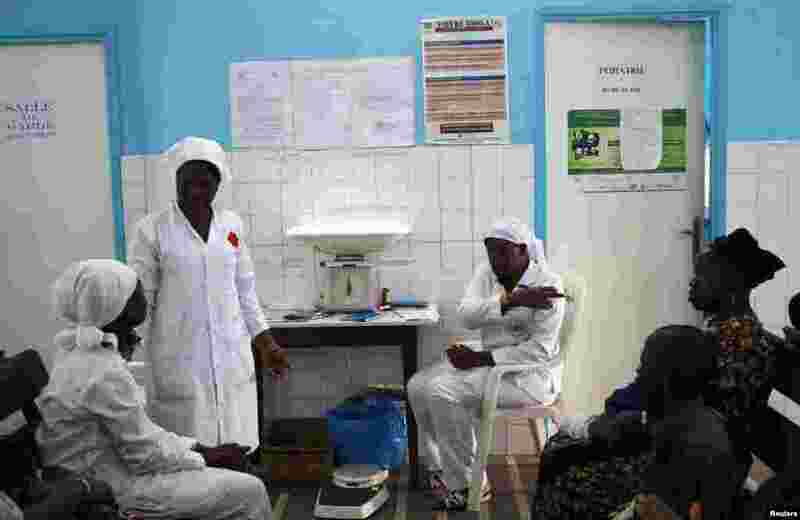 2 A poster displaying a government message against Ebola is displayed prominently at a maternity hospital, in Abidjan, Ivory Coast, Aug. 14, 2014. 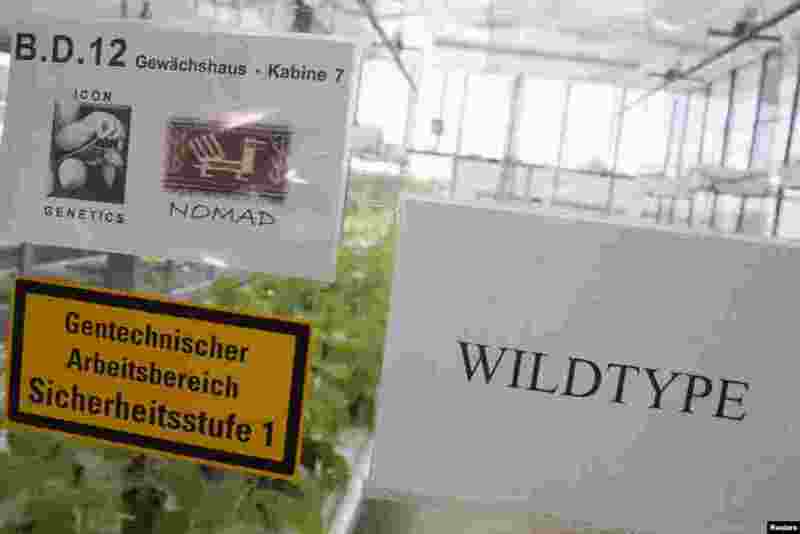 3 A sign is placed on a greenhouse with tobacco plants (Nicotiana benthamiana) at the company Icon Genetic in Halle, Germany, Aug. 14, 2014. 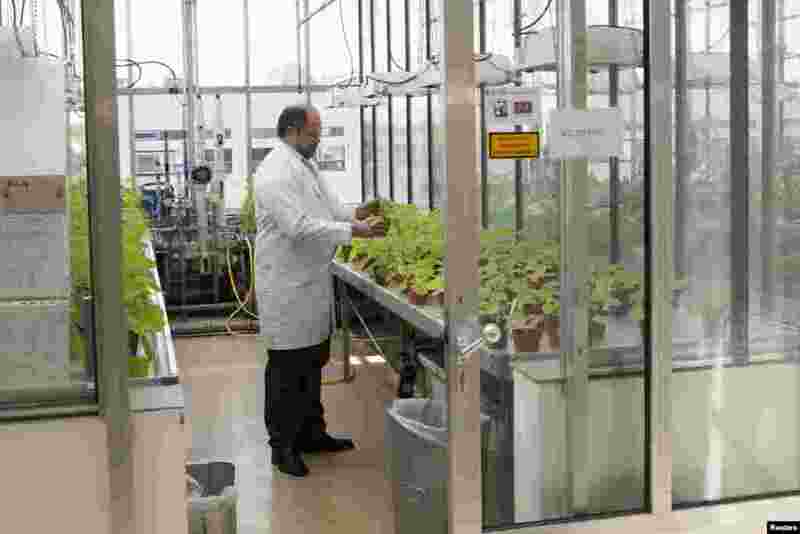 4 Victor Klimyuk, COO of the company Icon Genetics inspects tobacco plants (Nicotiana benthamiana) in a laboratory in Halle, Germany, Aug. 14, 2014.